It’s rare that I don’t wait for an entire set to be spoiled before I start talking about how a deck is going to be built, but I’m going to talk about how a deck is going to be built because, great googily moogily. Now, I usually don’t like to do what I’m about to do and that’s speculate with no data. I got into EDH finance because I like to make my plays based on what people have been doing for 6 months because it used to take a year for stuff to move. Life is coming at as a lot faster than it used to and I think getting ahead of some price increases is prudent the second we recognize interactions because cards are beginning to go up the second they are identified as a potential combo irrespective of whether people actually play them. Sub 1,000 decks and holding steady at just below $10? K.
It wasn’t EDH players who got excited about Wanderwine Prophets in Inalla decks, it was speculators and that’s because Commander 2017 being tribal made it so even people who have no idea what EDH is about could speculate on EDH cards. 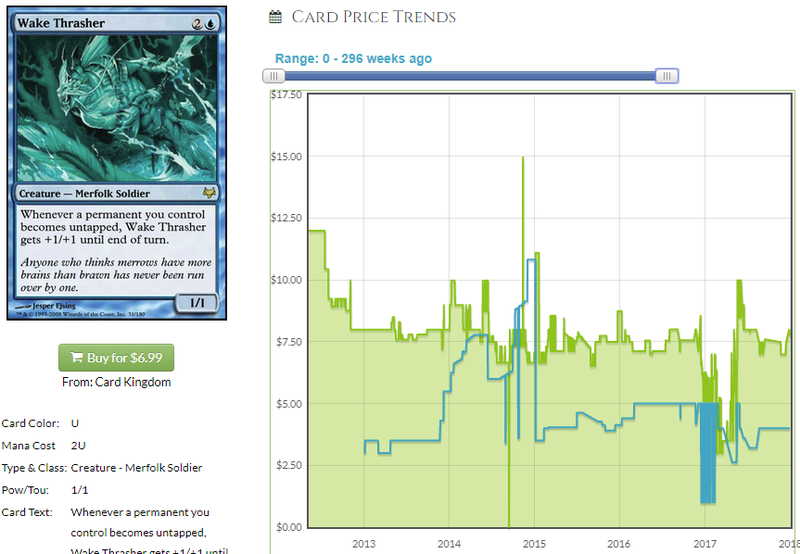 I don’t know if a merfolk commander from Rivals of Ixalan is inclined to make a Lorwyn Merfolk hit $10 the way this did. I’m inclined to say no for a few reasons. A random creature out of rivals is less of an impetus to build a new deck than is a precon. A precon is a deck ready to be modified, a new card is a card. You need a lot of other things and that costs money and is more difficult than buying a precon. People who don’t play EDH won’t speculate on random merfolk based on this. Only I and my readers do that. We’re not talking about an infinite turn combo, something which is overrated at first if Sage of Hours is any indication. So while realizing 1,000 growth is unlikely, we’re still likely to see some growth and that’s all we need. I think there are plenty of bulk uncommons that go up based on this new printing as well, and those are practically free to pick up right now. You have a few weeks before people even start building, so let’s try and anticipate what could matter and get ahead of the curve. So this is a card. There are a few ways to build this deck, ranging from Voltron to Merfolk tribal and all seem pretty good. Tishana was pretty disappointing and the EDHREC metrics bear that out – there’s no good reason to play Tishana when Zegana exists. 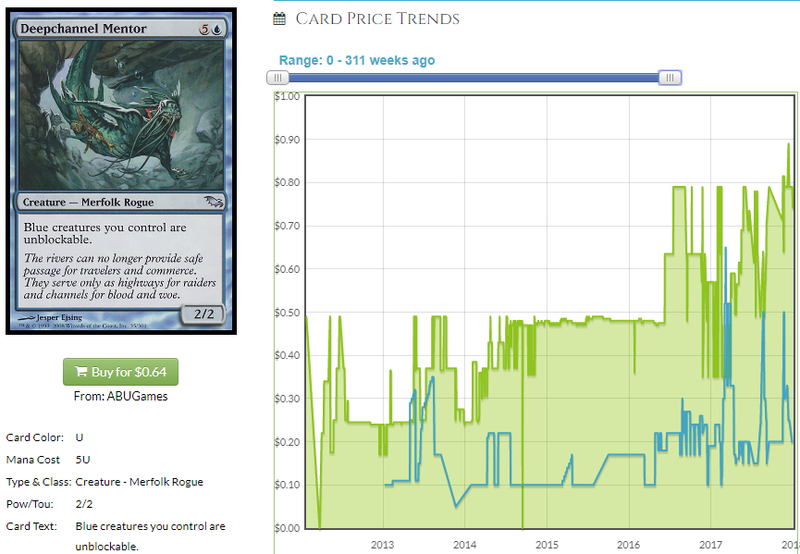 However, I think Kumena is a card worth trifling with and I think it has the capacity to push some prices around. 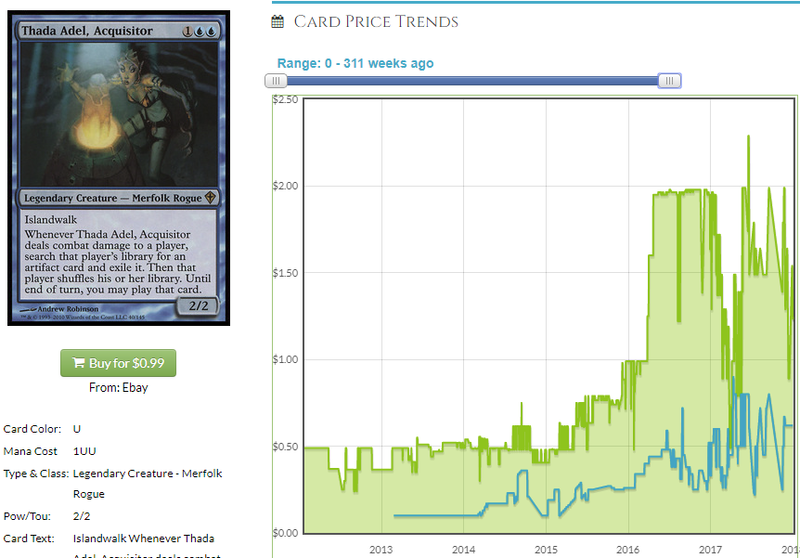 Let’s look at what likely goes in a majority of Kumena decks, which could be a decent amount and therefore impact prices. This is my pick #1 with a bullet. 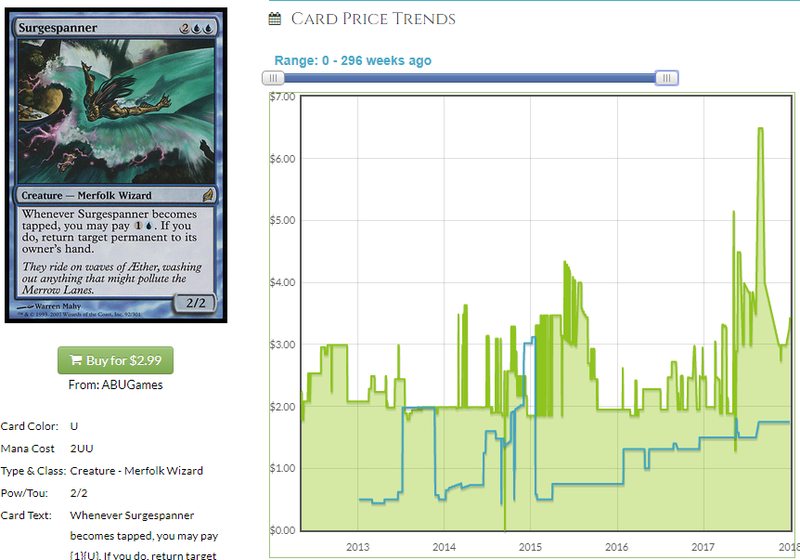 It’s trending up a little bit but with the ability to tap it at will with your commander, this goes up for sure. 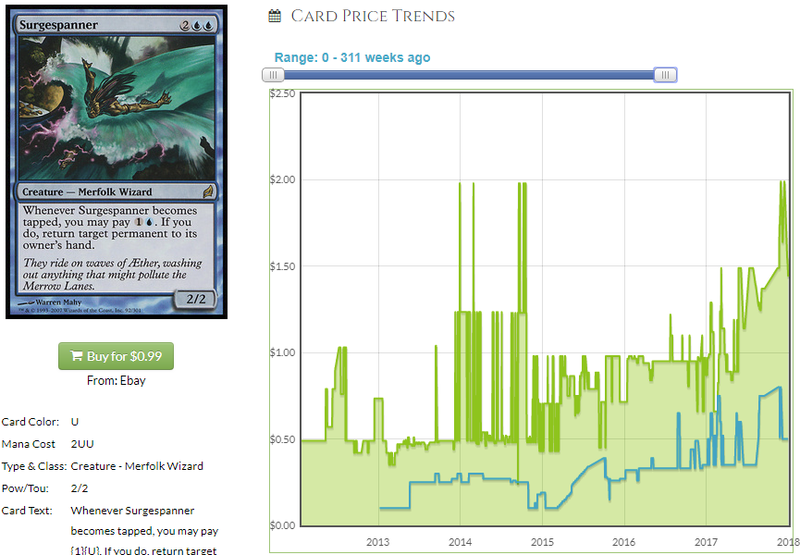 We’ve seen the ceiling on a Lorwyn rare merfolk that gets used just in EDH at $10 and while I don’t think this will hit that just because it’s me telling you it’s good instead of someone on reddit, I think it still goes up. $7.50 isn’t out of the question, and $5 seems all but guaranteed. If you don’t think that’s spicy enough, check out the foil. That’s a mere 2x multiplier, which is common for non-played cards. 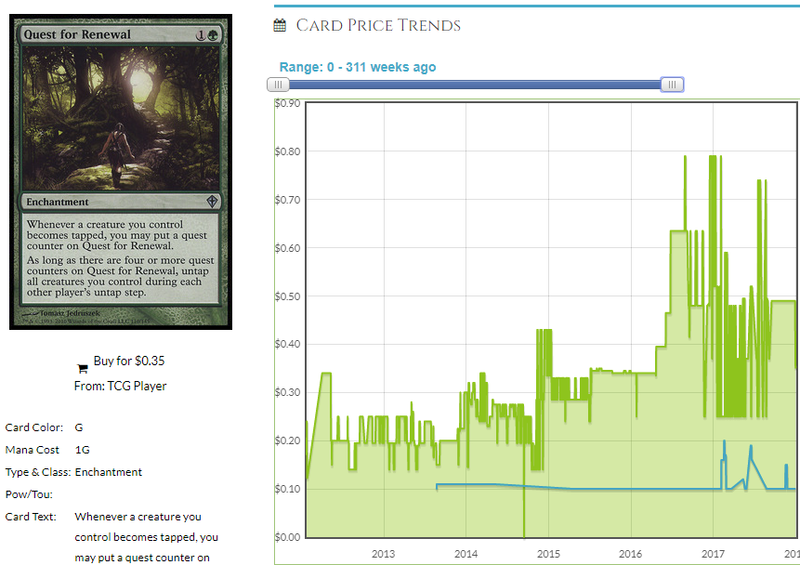 The great thing about a foil mutliplier on a non-played card is you make a ton of money when it goes to a played card. The multiplier for a played card isn’t unreasonable at 4x so if the price of the non-foil doubles as people begin to play with it, the multiplier should also double meaning you get a huge price correction. The $2 non-foil shoots up to $5 and the multiplier doubles to 4x and all of a sudden your $4 foil is $20. I’m not saying necessarily buy this card in foil, but I’m not saying necessarily don’t, either. The foils are way easier to trigger the market so if anyone buys, everyone notices and that’s the unfortunate nature of MTG Finance these days. I can’t sanction that kind of BS but I’d be remiss if I didn’t point out it can happen and if we can be poised to take advantage of someone else’s buffoonery, then we’re doing it right. 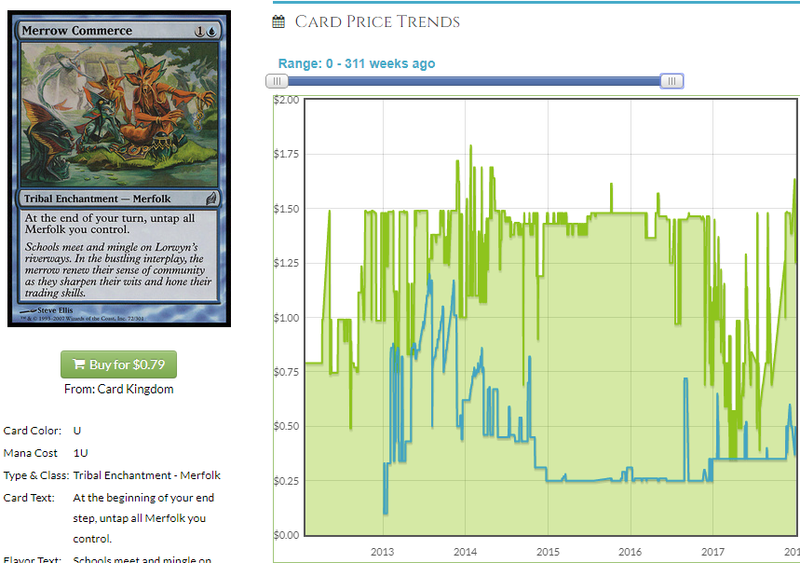 Goblins versus Merfolk hasn’t quite caught up to this guy but it will, likely pulling the price down to around $0.50 retail. 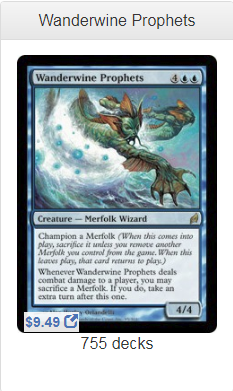 I don’t know if I love that as a point of entry but I will say that Wake Thrasher is very good in a deck where you’re rewarded for tapping your Merfolk. I think the deck benefits a ton from ways to untap your Merfolk and tap them again and growing Wake Thrasher as you do it is solid. Pre-combat you grow all of your merfolk, make your commander unblockable and grow your Thrasher, making it possible to threaten multiple players with lethal damage at once. You need a big board for that, but I think blue and green can handle that if any color combination can. 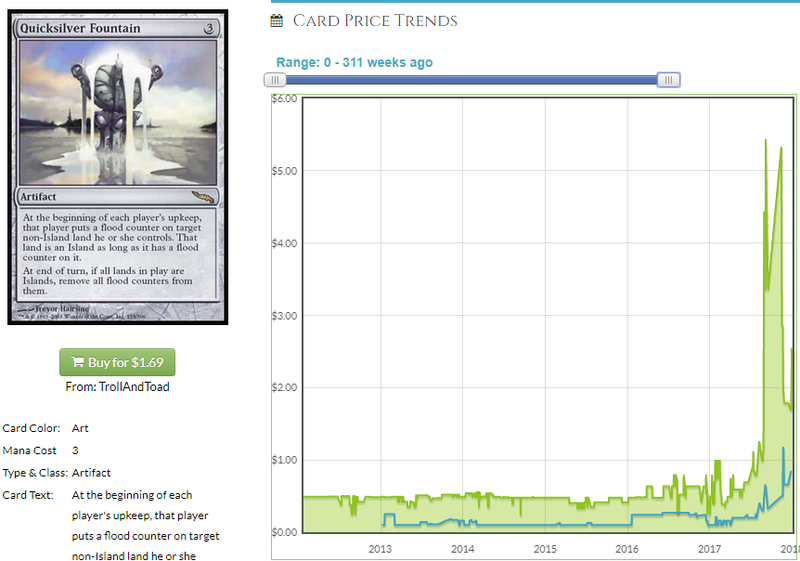 The 3x multiplier on the foil and stagnant growth chart seem to indicate this a card people know is a card but which hasn’t taken off yet. I think there’s opportunity here, but less so than with Surgespanner. Still, I showed you the foil copy and you can make up your own mind. 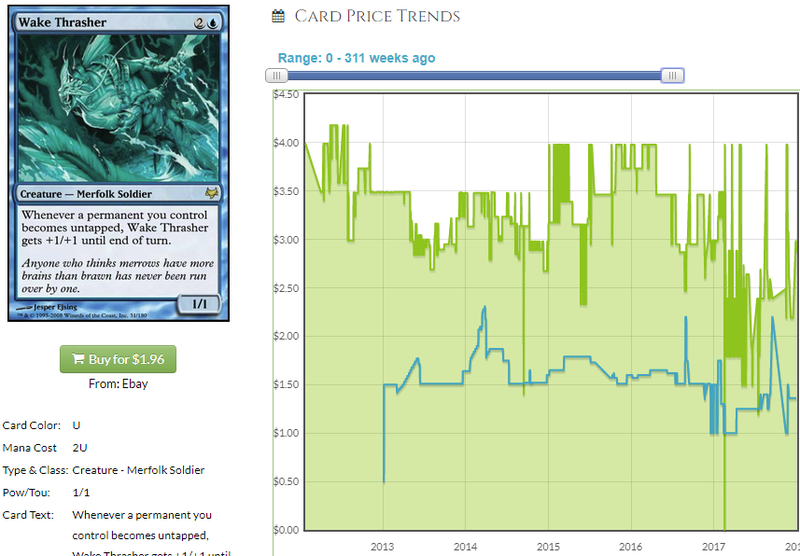 Around $2 for a merfolk that does something when it becomes tapped? You’re going to do some work with this card in that deck. Also, you’re going to randomly pants someone when you counter a spell that you exiled from one player’s deck. No one expects that second ability in a 1-of format and it’s going to be hilarious when you get someone with it. This card goes in the deck for sure – it’s too obvious not to. A 4x foil multiplier tells me we could see some gains, but again, returns diminish the higher a multiplier is to begin with. This doesn’t specifically interact with the commander but it almost certainly goes in the deck. 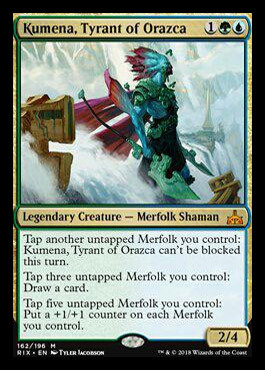 If you’re playing Merfolk, you’re making their lands into Islands and therefore helping this card get even better. I think this is pretty reprintable but I’m not sure where they’d do it exactly, so maybe I’m being paranoid somewhat. I do know I like this card a ton and I put it in most of the 75% decks I brew on Gathering Magic and people have to eventually notice. This card does some serious work. I promised there were a few bulk picks I liked, so here we are. Also, check out my Gathering Magic article a week from this Thursday. I’m going to be brewing a deck with this card and the cards that make the cut are all probably worth looking at. 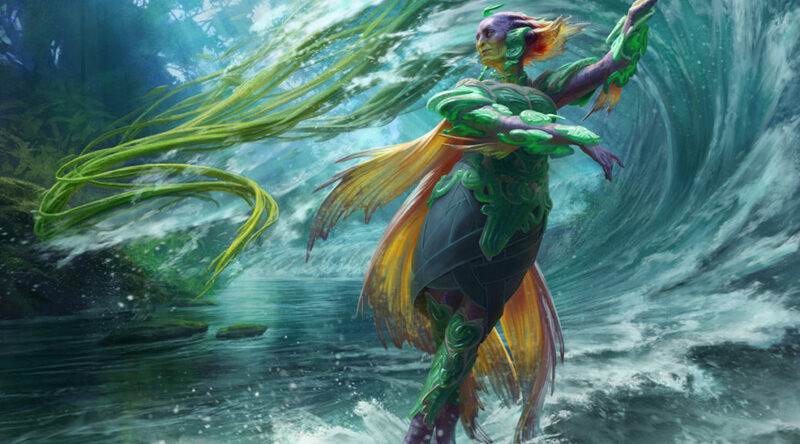 There are too many to name here- Benefactor’s Draught, Thrasios, Paradox Engine, Umbral Mantle, Vitalize – a lot can go in the deck as well as the new Merfolk we’ll be spoiling the rest of the week, some of which are already spoiled and are fantastic. Hope you enjoyed this read. Until next time! I don’t hate it at around $4. Intruder Alarm similarly does a lot of work in this deck. I like both of those as pick-ups, but I always say buy Intruder Alarm.